Expect your junk folder to be a little tidier come July 1. Remember Bill C-28? The contentious federal anti-spam legislation that was met with fierce lobbying from Canadian businesses and groups and spent a few years in limbo? Well, it’s back and Canada’s anti-spam legislation (CASL) will have a considerable impact on how businesses use e-mail and other electronic communications for marketing purposes. By the way, it comes into effect July 1, (a move by the government that gave companies just six months to prepare for its implementation), which will undoubtedly send many scrambling. CASL imposes some of the strictest anti-spam laws in the developed world, and Canada is the last of the G20 countries to do so. The Canadian Radio-Television and Telecommunications Commission (CRTC), the office of the privacy commissioner and the Competition Bureau will provide enforcement, and penalties will range from up to $1 million for individuals to $10 million for corporations. And Martin Kratz, a partner at Calgary law firm Bennett Jones LLP, says Canadian businesses can expect aggressive enforcement. By 2017, the law will also allow individuals and organizations to bring a private right of action in court against the individuals and organization who they allege have violated the law, according to Industry Canada. Businesses that sell and promote products online and electronically will need to prove they have consent to reach out to new, existing and potential customers. the use of misleading representations online in the promotion of products or services. “The long and short of it is, all of your e-mail marketing lists must be (as they should be now) 100% opt-in, without exception,” says Andrew Shedden, an industrial marketing consultant at Peterborough, Ont.-based Broadfield Consulting. Consent comes in two forms. Implied consent applies to existing business relationships, family and friends, but it expires after two years and you must be able to prove the deal and track its timing. Express consent is a little more complicated. As described by Bennett Jones, it can be obtained “either orally or in writing from a recipient…the CRTC has indicated that a person giving express consent must take some positive action to do so.” This would include checking a box that says they’re willing to receive electronic communications from your company. Messages must also provide an “unsubscribe” mechanism for future submissions. Review existing communication practices internally and with external service providers. Determine which entity in your organization should “own” the consents. Assess each business or non-business relationship to ascertain if implied consent is available for CEMs to be sent. Take steps necessary to collect express consents. Identify communications where consents are not required by the information requirements and formalities are still required. Ensure all records of compliance procedures and policies are maintained. Once the law is in force, Shedden expects manufacturers to use more direct mail, place a heavier reliance on teleprospecting from inside business development reps, use more print and online advertising, and focus on inbound sales leads as a result of content marketing. 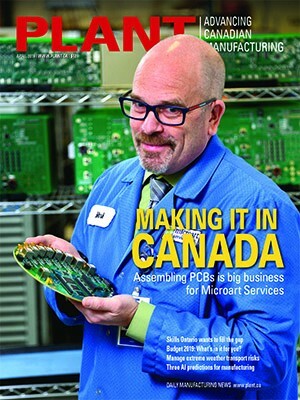 Find even more tools to prepare your company for CASL from PLANT’s sister online-publication CanadianManufacturing.com. 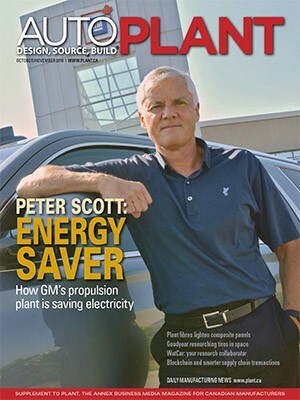 This article appears in the May/June 2014 issue of PLANT.